Dig in. Let us know your thoughts. How do I know I’m ready to be the boss? So how do you know when you’re ready to lead a department? The truth is you may never be. You may decide that the politics aren’t for you. Or that starting your own thing is the way you wish to express your boss-ness. But then there are those who want to try to grow a company that already exists by harnessing the talents of a group of people. How do you know when you’re ready for that? For me, it happened in the middle of an interview. I thought I was talking to StrawberryFrog Amsterdam about a director role within a small, but already established team. It turned out they wanted someone to lead the department. The idea of being the boss scared me a bit – was I ready? But it also excited me. As I cycled home along the canals after my interview, my brain couldn’t stop sparking ideas about how I would do things if I got the gig. Then I got the offer and I accepted. I don’t think it’s any more complicated than that. When you’re leveling up from team member to team leader, it’s almost as simple as transforming the belief that the leadership team has in you into your own belief that you can do it. Your confidence swells when your peers see something in you that maybe you don’t even see in yourself. The clues of your potential are there though. You’ve helped win accounts. You’ve taken a newbie under your wing. You’ve had quite a few performance evaluations steering you forward and upward. And you enjoy the work for the most part. You suspect that with more autonomy, you’d enjoy it even more. Sometimes all you need to accelerate your growth is to be wanted. All you need is a group of people to want to work with you. Sometimes the title is like the feather that Dumbo the elephant clutched to thinking it gave him the ability to fly. I’m writing this post today because I know of a cool group of people who are looking for their head of strategy here in Miami. They’ve won big awards. They’re young. They want to see what they can build together. They just need the right strategist to help them grow. If that might be you, please get in touch. Or if you have some advice to share for that period of transition into leadership, I know I’d like to read it. I get quite a few emails asking for advice so I’ve decided I’m going to try to use this blog as a place we can ask questions and share advice. If there’s a topic you’d like discussed, send me a note. It’s been open for a while now, but remember we don’t do this very often. It takes 5-7 minutes to complete and we have over 2,500 responses so far. I just realized I had not posted the warning alarm here where I can get into the most in boxes. This idea is a bit mad. I’ve been looking into a company called Oratium and I would really like to take their one-day workshop. In fact, I mentioned them in yesterday’s post to a planner looking for advice on how to up his skills. Trouble is, they aren’t holding their next event until February. But if we can pull together 20-25 people in the next few days, Oratium is available to come to Miami on January 6th. Through a deep understanding and application of the latest research in cognitive neuroscience (how people process and retain information), Oratium has developed a simple and powerful program that teaches how to construct compelling communications, in any form. For the more detailed description, click here. The workshop costs $1,000 USD to attend, travel costs not included. There is a great meeting room in my building with high ceilings and lots of light (see below) and I live close to The Standard Hotel on South Beach which is a lovely place for a winter break. Maybe just maybe there just are 20 of you out there desperate for some sun and curious enough to take this class with me? To make the most of your time, I will also plan a dinner the night before (pay-as-you-go) where I will facilitate a reciprocity ring. Each person will get the chance to share a challenge they are facing and the community we create will offer their advice. This is so last minute I am definitely feeling a bit daft posting. But in the past 6 weeks, I’ve taken 2 separate trips on a lark with less than 7 days of notice. It can be done! The question is, are you in? You can contact me through this site if you don’t have my email address. Curious to see if we can create something special together. 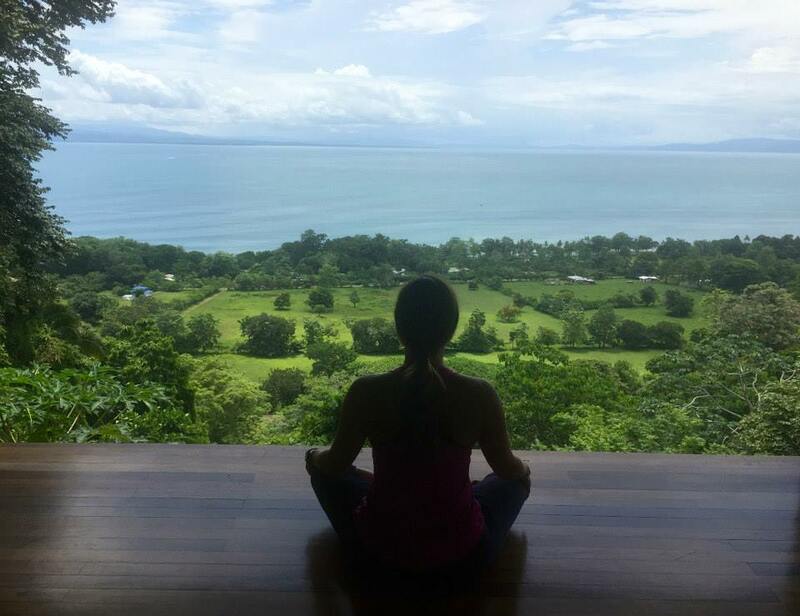 A few months ago, I decided I wanted to attend a month of yoga teacher training in the beautiful surf village of Pavones, Costa Rica. Who wouldn’t want to eat delicious vegetarian food and practice yoga in a studio overlooking the sea? Well, my husband for one. Maybe it’s because he had never done yoga before? He had zero interest in even trying it and a month away from work would be a big inconvenience for him. But he saw how important it was to me, so he agreed. That is, with a few stipulations. One of them being I had to learn how to play video games. Now, I haven’t played a consol game since high school. My interest in learning to game mirrored my husband’s interest in yoga. Zip. Zero. Nada. The controllers I could recall were far simpler than they are now. Just looking at the PS4 controller gave me anxiety. And who has time to game? We already watch our fair share of TV shows and movies; we don’t need any other forms of entertainment in our lives. Yet with some encouragement from the husband and some trial and error to find a game I could connect with, I have beat the game The Witcher 3. I even downloaded the expansion pack because I miss my life-sucking friend, Geralt. What did I learn from giving gaming a chance? A good game can tell a story better than a movie, series, or book. While I always knew games require a user’s participation, I didn’t expect the connection I would feel to the characters and the world as a result. And I think that connection comes from a well-designed experience that is just challenging enough for the user. It can’t be too hard as to frustrate and annoy. But conversely, it’s no fun if it’s too easy. As Geralt went on quests and gained experience, his level increased giving me a sense of pride. I realized: Isn’t this what we wish we had at work? Less emperor’s new clothes where we pretend that customers care about our products as much as we do (that’s always frustrating and annoying). The joy of finding a smart answer (because it’s just challenging enough). More clarity about what it is we need to learn (quests). Proof that we’ve mastered skills (experience level). These are the very same work desires that sent me on a quest of my own. After working in advertising as a strategist for 14 years, I wondered ‘What’s wrong with me? Why don’t I feel like an expert yet?’ I wanted the experience of leveling up that I’d had at the beginning of my career. So I created a quest of my own. I sought out mages in far away lands. Instead of mages, they were marketing people. And while the lands were far, the real exploring was of the edges of what is possible in digital, social, innovation, brand storytelling, and ideation. Oh, and I asked these people if addition to letting me work with them for a couple of weeks each, could I, uh, stay with you at your house? I still can’t believe that nine people agreed to this scheme. But I’m so glad they did. They invested their scarce time in me. Which made me want to repay them in some way and make sure it wasn’t only me that got something out of the experience. So I wrote about what I learned: In Hong Kong, I picked up the methods Jason Oke employs to get started on a new project when panic sets in. Phil Adams in Scotland taught me how he explores the edge of what is possible in digital. And I explored why the business of innovation is stealing some of marketing’s brightest minds while working side-by-side with Brian Millar in London. And much much more. 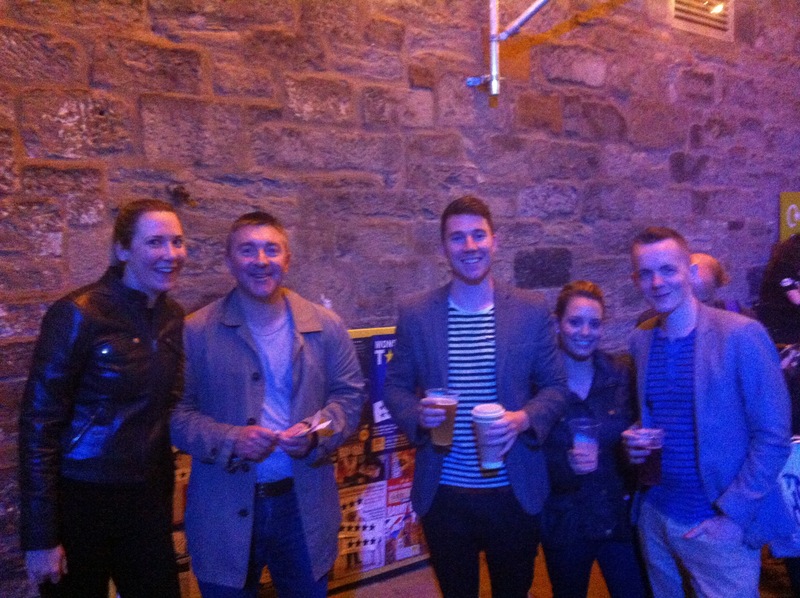 At the Edinburgh Fringe Festival with Phil Adams and a few of Blonde’s finest. Leveling up in our jobs may be a lot more like gaming than I ever realized. We have to lean into the discomfort of what we don’t know. By taking on quests of our own design, we expose ourselves to radically new ways of working, to great ideas that can be applied in fresh new ways (because nothing is truly original), to people who like us and will be there to help us in the future. Now, more than ever before, nobody knows it all. Now, more than ever before, we all need to learn how to brain surf. My new book Brain Surfing the Top Marketing Strategy Minds in the World is now available for pre-order and ships on November 11, 2015. For a limited time, order the paperback on Amazon and receive the Kindle version free. 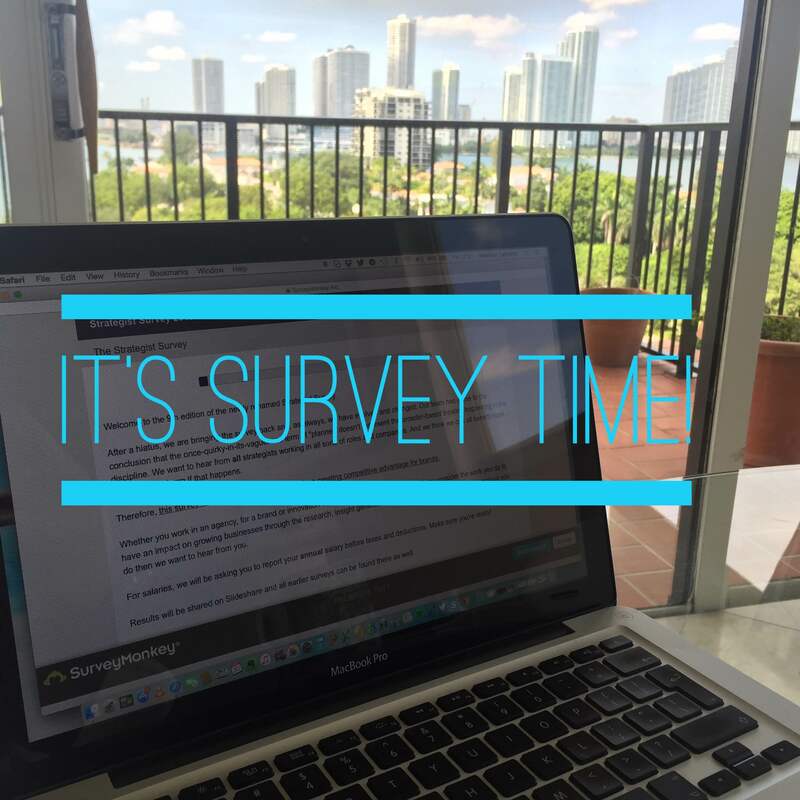 We are pleased to open the new and improved Strategist Survey. It’s short and sweet, so open that tab and make it all the way through in one go. Since we last surveyed you, we’ve thought a lot about the changing strategy landscape. We’ve been hit up for jobs at Twitter, Apple, BuzzFeed, start ups, research firms, PR firms, and physical tech companies. This shift from planner to strategist is one small outward change that is indicative of our community’s ever expanding relevance. Please share the survey far and wide. Track down old colleagues who are strategizing on the client-side, at innovation consultancies, for media properties, or as technologists. Please spread the word over email AND social media. So many people don’t have time for social, so let’s make sure to get our friends’ attention. Your privacy is our religion. We will only share aggregate salary information. Are you ready? Here’s the link. Take it now. 1. What was it really like in the early days of agency account planning? Tracey Follows and John Griffiths have tackled this question by interviewing 20 of planning’s original gangsters. They’ve compiled these stories into a book and the are crowd-funding the publishing. The book is called 98% Pure Potato (an iconic English ad claim from long ago) and you can get your name in the book as a founding supporter by buying your copy now. Better to chart where we’re going when we know where we’ve been, right? 2. The Planning Survey wants to come back. It’s been programmed and we are polishing the final questions. There will be different question paths for people working in communication services, business growth services, as well as brand marketing on the client side in an attempt to look at our discipline no matter where we work. Building a new survey has raised a couple of questions and we want to hear from you: Are we planners or are we strategists? Does it matter? The survey team has mulled this over. We believe that if a few people could go to an off-site meeting and invent the name “account planning” in the 60s, we as a larger collective can decide if it still works for us. So we ask you: please post your thoughts (Medium, LinkedIn, your blog) and send me the link. We’re hoping a larger discourse will help us all sharpen our thinking and make the survey more useful. I kicked it off with this post here. Sam Joseph has weighed in here. Russell Davies recently wrote this. 3. While I have you, Faris Yakob just published his book Paid Attention and it’s worth an extra helping of your future attention. He discusses his views on the strategy/planning debate, but more importantly he effortlessly synthesizes models of communication, idea generation, and brand building given today’s opportunities and constraints. That’s all for now. I am still writing my book. I promise I will finish someday. Earlier this year, I spent two weeks working with Saher Sidhom, Head of IP and Innovation at AMV BBDO in London. 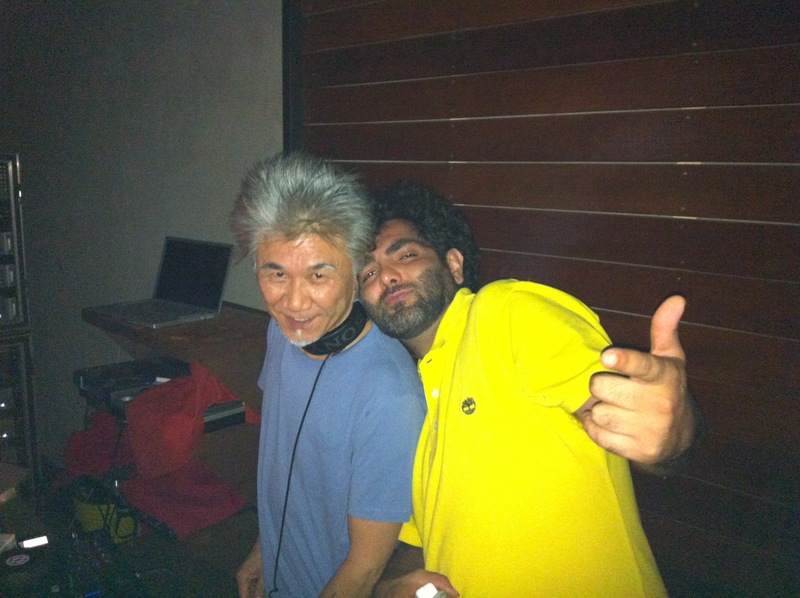 Saher is living what we all talk about doing: experimenting and innovating for brands. This means technology, yes. And Saher is getting elbow deep in Arduino components on a daily basis. But this also means new business models, contracts, and working with brands that are expansive, that want you to have an experience that is “on-brand” and share in that experience, not just listen to them bark a message through their megaphone.